Test ride #2 included hills, 53 miles, and 22 pounds of gear. It was doable, but perhaps not sustainable. I could definitely handle 50 miles and 22 pounds of gear for two days in a row, and maybe even three days in a row, but adding more intense hills and going 7 days in a row? Perhaps too much. I’ve pared down to 18 pounds but may go up as high as 20. Mission Solano, the northernmost mission, was cute. It’s a small little historic landmark in wine country. It’s very humble. There was some art, but a lot of the gold and extravagant art I associate with Catholic churches just wasn’t there. A replica of the original Californian flag was there, and being the most recently built mission it had some more recent history (like the gold rush). 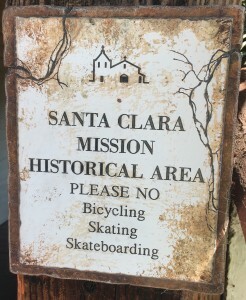 Let me preface the next two thoughts with the following: I did zero research on the missions before this trip, and mostly chose this route because I’m Californian born and raised, and El Camino Real is a long, well-defined route to follow for backpackers and bikepackers with historical significance. I should also probably say that I’m not Catholic at all, and from a cultural point of view I’m learning more about Catholicism at each site than anything else. Mission Santa Clara is on a Catholic University campus. I didn’t tour it, partially because everything was a sprawling campus and I couldn’t figure out what was the Mission and what was the university bookstore. It’s less than 10 miles from where I live, so I can come back to it. I was very surprised it wasn’t a state historic park. 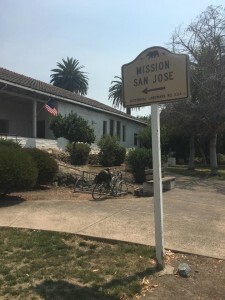 Mission San Jose is a state historic park, but it’s also active as a Catholic church. There were baptisms going on while I was there. This also surprised me. 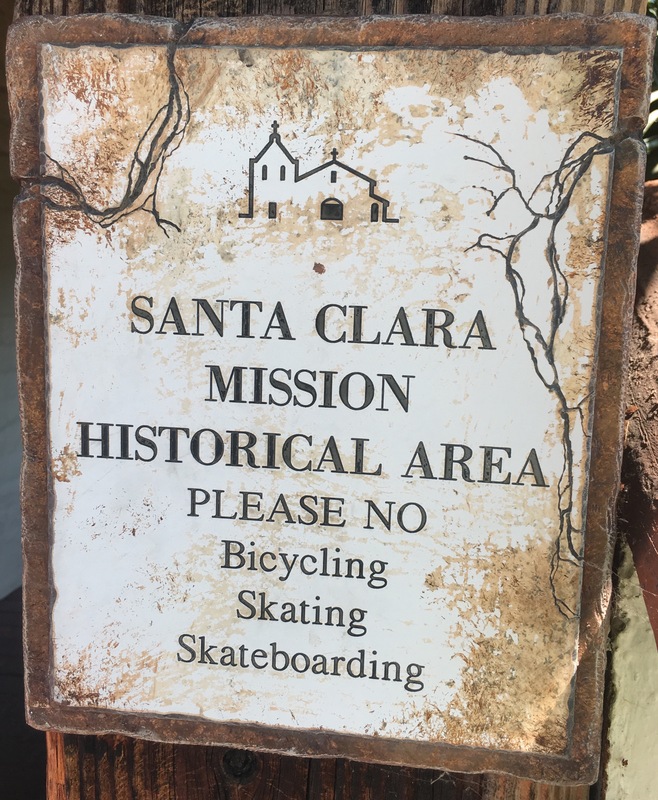 Did a short 20 mile test ride today with ~26 pounds of gear that included a pitstop at Mission Santa Clara. I’ll be repacking and reprioritizing my bags tonight, then making another test ride tomorrow. I was extremely anxious about this trip. I originally wanted to hit all 21 Missions in two weeks but have since realized this was unreasonable. I pared down my itinerary and now I’m feeling much more confident and excited!! Just one more week!